What would a right-brained economy look like? 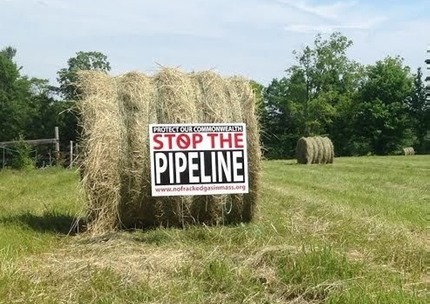 Most activists opposing the pipeline are focused more on the destruction of farmland and rural beauty locally, and the impact on the health and quality of life in towns that this pipeline could run through. To be sure, they are also fighting in sympathy with folks in Ohio and elsewhere who have had their water aquifers contaminated by the fracking that produces the gas (not to speak of the earthquakes and other environmental degradations). What's more, they are resisting vigorously any corporation (or government) that seeks to ride roughshod over their lives. However, I seriously doubt this pipeline will ever materialize. Not so much because of the resistance to it (though that is very healthy and the best thing about this whole affair), but because the growth of debt expansion has reached its limit. You need income to service debt, and wages and real profits have been falling steadily all over the world (as finance and debt hollow out the real economy). So without the false growth or the false income of debt to bouy demand for natural gas or oil or other commodies, we are now seeing a slow collapse of oil and gas prices. This will soon impact production, especially the fracking operations in the Marcellus Shale, where they need high gas prices to survive as businesses. Most of that shale gas will probably stay in the ground or be too expensive to extract at the current market price. See Gail Tverberg on this. She calls this "peak oil due to demand collapse" (and eventually production collapse due to low prices). The oil and gas will stay in the ground, at least in places that require a highly expensive extraction process, such as the Tar Sands of Alberta or the Marcellus Shale. This pipeline, like most pipelines across the globe, has geopolitical ramifications as well. In opposing the South Stream (now diverted to Turkey) or the Iran-Iraq-Syria pipelines from Russia and Iran respectively, the Obama administration has assured Europe�(without any basis)�that the US can supply its demand for natural gas with liquified natural gas (LNG) shipped in highly specialized vessels to Europe. It is expected by Kinder Morgan that much of the gas transmitted by this pipeline through Western Massachusetts will go to yet-to-be-built LNG facilities in Atlantic Canada (four of them) and Maine (one). These facilities will be the final terminus of the pipeline and much of the gas will be shipped to Europe. So this pipeline is also part of the Great Game (a bit too grandiose of a name, considering the incompetence with which the Americans are playing the game) of petropolitics. Indeed, the effort to regime-change Assad in Syria was first triggered by his favoring the Iran pipeline over a Qatari pipeline. We needed a more compliant head of state there.